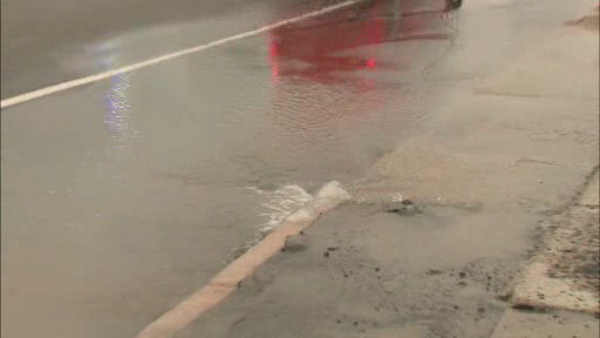 NESCONSET (WABC) -- A water main break on Long Island Tuesday briefly flooded an entire neighborhood. It happened at about 10:30 a.m. on Brooks Avenue near Smithtown Boulevard in Nesconset. The Suffolk county Water Authority say it was an old 12 inch main which ruptured. There was no real damage to any nearby homes. About 17 homes were without water for several hours.